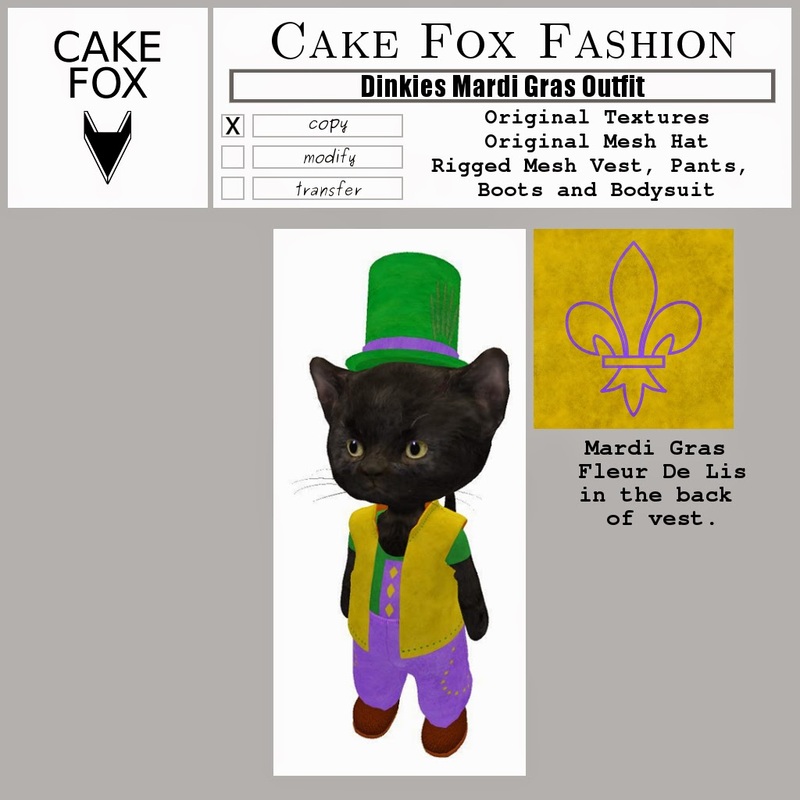 Cake Fox Mainstore NEW Dinkies Mardi Gras Outfit. Original textures. Original mesh hat. Rigged mesh vest, pants, body and boots. 50L$ during this weekend for SWAG.